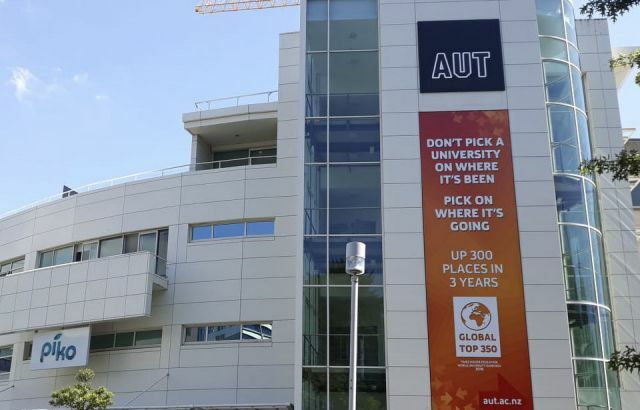 AUT’s sports teams certainly won’t be taking the upcoming Easter break lightly. Over the break, AUT’s 3x3 basketball, rowing and futsal teams will all compete in their respective championships. 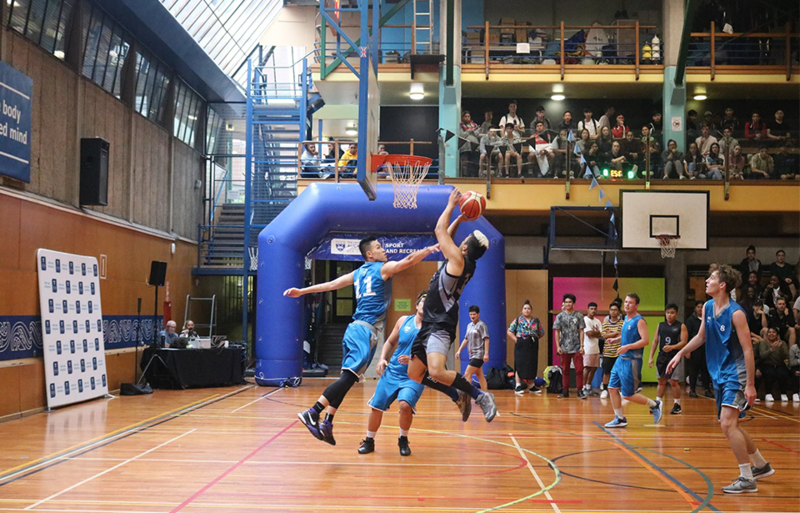 The university’s basketball teams will take part in the National Tertiary 3x3 Championship at the University of Auckland Recreation Centre this weekend. AUT Sport basketball co-ordinator Kiani Smith said she was feeling optimistic about the quality of the players. However, Ms Smith feels their chances have been hindered by the New Zealand National Basketball League. An AUT player (centre) takes a jump shot. “Our chances were great up until yesterday. I’ve just lost a player to the Super City Rangers, so it’s really hard to tell. My goal was top four. My goal is now top six. The basketball teams are being coached by Keith Langley and Lianne Barrett. Also this weekend, the University Rowing Championships will take place at Lake Karapiro near Cambridge. Megan Aikenhead, of AUT Sport, says high numbers of rowers this year has helped the club prepare for the regatta. “We have a squad of about 28 rowers, which is at least five rowers more than last year, so it’s good to have a bigger squad this year. 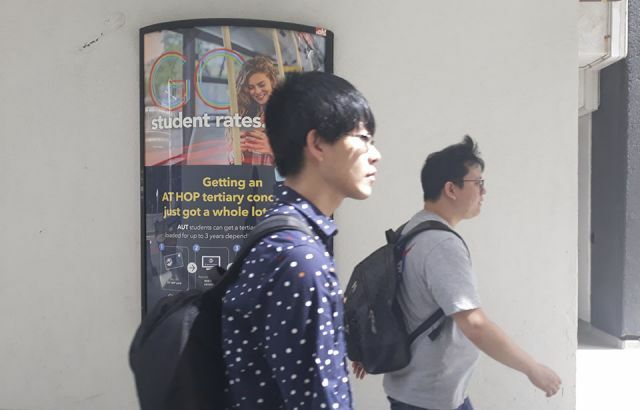 “We are a smaller squad in general than most of the other universities. 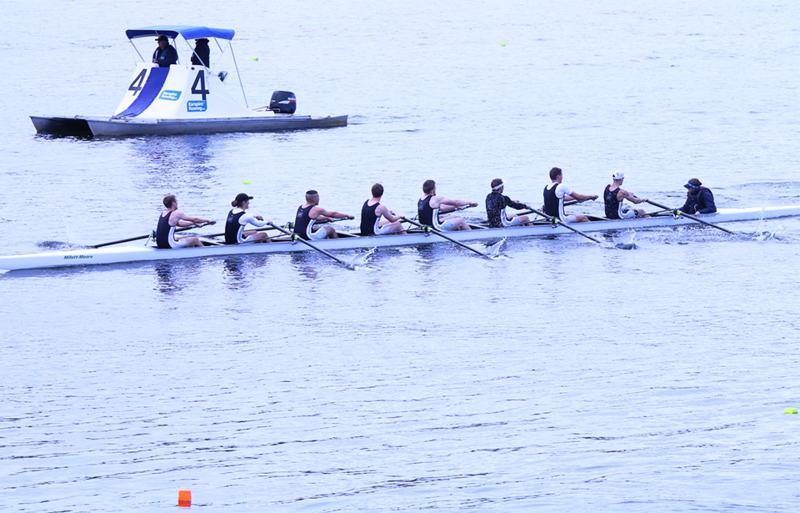 An AUT men’s eight racing. 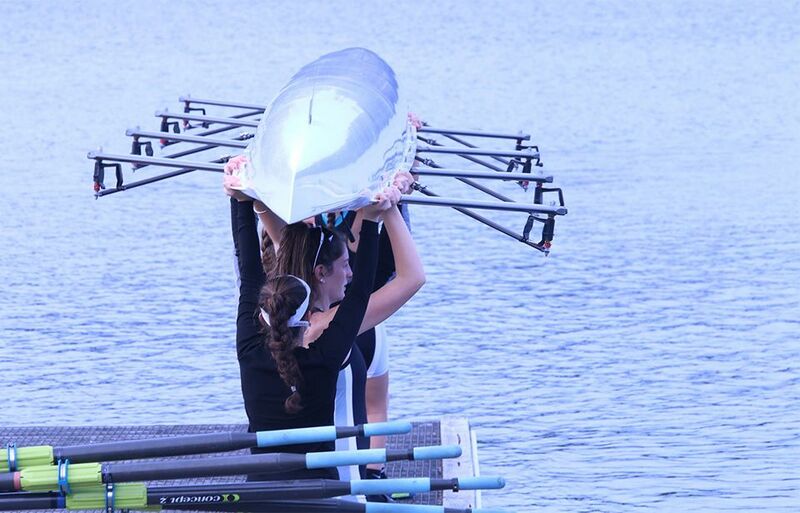 The crews will be racing in novices, tournament, varsity, champs and lightweight divisions over the weekend. Trans-Tasman trials will be taking place after the regatta, but AUT Sport are unsure about whether any AUT students are participating. The rowing teams are managed by Hanne Mellsop and coached by Rob McKenzie. From April 25 to 28 the AUT futsal teams will compete in the National Tertiary Futsal Championships at Trustpower Arena in Tauranga, with preparations are looking strong. “We had about a two-month buildup this year, [and we’ve] been training twice a week for the last six weeks or so,” Ms Aikenhead said. An AUT player (left) plays the ball off to the side. 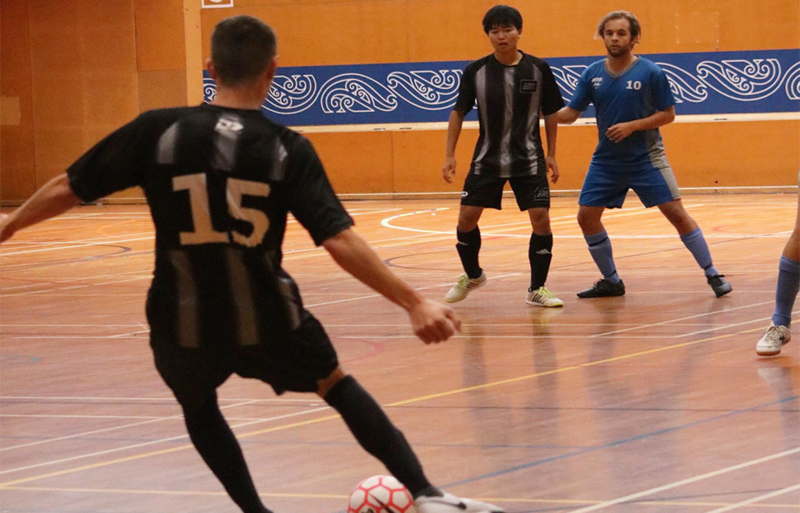 Expectations are pretty high, which is usually the case with the futsal teams, even though only five universities, all from the North Island, have enrolled for the competition. “My goal for my teams is top four, but ultimately top two,” said Ms Aikenhead. Ollie Walsh, Hayley Stirling and Jo Lamozza are coaching the teams.